Born in 1984 in Salisbury, Adelaide, my parents were immigrants escaping the Vietnam War. My earliest memories of my childhood were growing up on farms in Adelaide, where my parents worked. Greenhouses, chicken pens, collecting eggs, field of lettuce and greenery were the everyday norm. My family moved to Melbourne when I was 4 and I have very fond memories of the hustle and bustle of the Footscray Market and the house where we lived in Brunswick had a massive plum tree in the backyard. I was raised with predominately traditional Vietnamese cuisine, consisting of clear broths, leafy greens, fish sauce, bird’s eye chillies, pungent herbs, fragrant lemongrass, stewed and stir fried meats and copious amounts of steamed jasmine rice. As a testament to Australia’s diversity, it wasn’t unusual that at the dinner table, dishes such as spaghetti bolognese, scalloped potatoes, Thai or Indian curries and lamb chops regularly made an appearance. 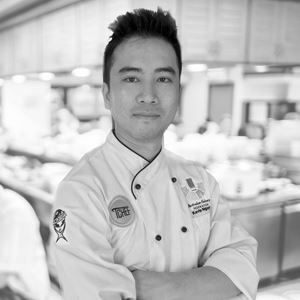 Being raised in a Vietnamese family, I was always told that I had to be a Doctor of some description so no, I never intended or even thought of being a Chef. As a matter of fact, I almost failed Home Economics, burned toast daily, didn’t know what real butter tasted like, and got jealous at school when other students brought fairy bread and toffee in patty pans to the school fete; usually because I didn’t know how to make them and thought my peanut candies were uncool. 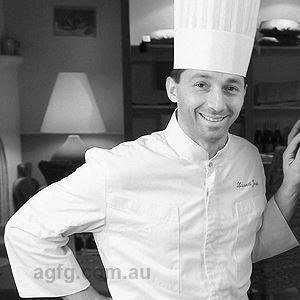 As with most other Chefs that I know, I fell into the industry while I was studying at University and working as a kitchenhand. Up until being a kitchenhand, I’d worked at a couple of fast food chains and I’m grateful for this as this introduced me to the operations of a food business. Seeing Chefs in action in a commercial kitchen, the passion, the creativity, the seemingly boundless amounts of energy, the focus, teamwork, tantrums, breakdowns, defeats and victories…I was captivated, mesmerised and before long, hooked. University quickly became a distant memory and I immersed myself in the culinary arts, spending all my available time working, researching and on my days off, working in different kitchens to broaden my knowledge. I can only describe my style as Modern Australian/Melbournian, a mash up of flavours, textures, colours and dishes that although not usually seen side by side, work together to balance, accentuate or to strike a contrast between different cuisines and flavour profiles. My style is to quite simply showcase the produce, making sure that dishes are balanced in flavour, texture and aesthetics. This is done by respecting the produce in cooking to keep the integrity of the product, in presentation of a dish to accentuate the product and not to drown out natural flavours. I put an emphasis on seasonal and Victorian local produce, local growers and businesses as much as possible. For example, we source our beef from Gippsland and our premium wine selection from Carlei Estate in Beaconsfield. Earthy and charred, lots of root vegetables and natural smoke from the wood grill. The smoke from the wood grill adds another dimension of flavour. Creativity, productivity and positivity in the workplace. I can’t stand negativity between staff members, hindered development of the business and fellow colleagues due to complacency. I’ve worked with many talented Chefs and institutions in my career, however, as the saying goes, ‘all roads lead home.’ My mother’s cooking to this day is my greatest influence by far. She was the original daredevil, researcher and developer, and culinary pioneer in my life. It seems wrong, but it’s the soy sauce in her bolognese sauce that makes it undisputedly my favourite of all time. I could eat pretty much anything I want, but I’ll race home to eat her food. She gets it right every time, no recipes, no books, no notes but with lots of love. You can’t be in this business without loving it and it’s sometimes exhausting. But when and where else are you able to use all your senses in the most primal of ways, using touch, smell, taste, sight, hearing, knowledge, creativity and commitment to express yourself? Constantly challenging and creating myself drives me forward and I love the feeling of being able to draw on centuries of knowledge from those who have come before. An ode to what a ‘dip’ can be. The slight tang and richness of the smooth feta, natural sweetness from the honeycomb, savouriness from the pungent dukkah, freshness of radish, crunch and saltiness of the crostini. Whipped feta, honeycomb, dukkah, radish and crostini. This dish is by far the most commented on, praised and re-ordered of our patrons at Imbue Food & wine. It encapsulates everything that is our philosophy of which is balance, engagement of the senses and the showcasing of local produce. 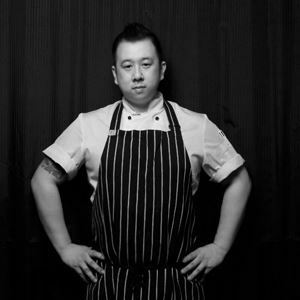 Follow the locals along Gordon Street in Maribyrnong to trendy eatery, Imbue Food & Wine. An ambient and modern atmosphere awaits with exposed pendent lighting, bold monotone newspaper artworks adorning the walls and intimate communal seating, inviting patrons to stay for hours chatting over a bottle of local Victorian wine. 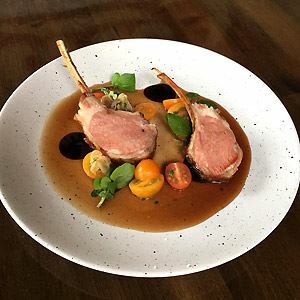 Imbue has created a menu which changes every three weeks to highlight the freshest produce available at the local markets, served as tapas so the whole table can indulge in a plethora of dishes to their liking. 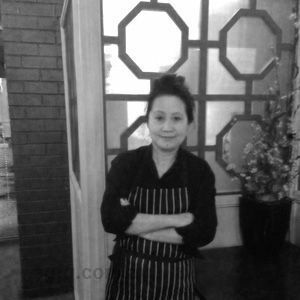 Options may include the likes of roasted pork belly, green papaya salad, coriander and a chilli jus; or the fried chicken with sticky fish sauce. Be sure to save room for a decadent dessert of cannoli, chocolate mousse, almonds, crème fraiche and sour cherries.